Wagepoint is integrated with TSheets so you can easily import hours worked and pay your employees accurately and on time. Desktop? Please say you're not using punch cards either. Use a #1 rated time tracking and scheduling app to review and approve hours, then send these hours to one of the fastest and friendliest payroll apps. And do it all from your laptop, tablet or phone. Approve timesheets in TSheets, then import those hours into Wagepoint to pay hourly employees and independent contractors. 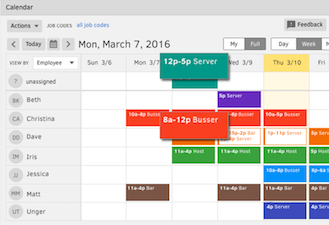 Automatically import hours by regular, overtime, double overtime and paid time off for easier tracking. how to connect TSheets to your Wagepoint account.